This year's World Championship Barbecue takes place in Jack Daniel's Hollow. It is a combination of culinary expertise and friendly but serious competition with a $10,000 prize going to the Individual Grand Champion. Seventy-four championship teams from the U.S. and 22 international teams from countries including Austria, Australia, Canada, Czech Republic, Germany, Ireland, Italy, Poland, Sweden, Switzerland and the United Kingdom convene in Lynchburg to compete for the coveted Grand Champion title. The weekend-long event occurs every June and brings together the country’s top pitmasters who cook up their award-winning food for over a 100,000 barbecue enthusiasts. 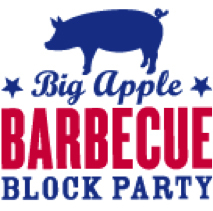 Set against the beautiful backdrop of Madison Square Park, the Big Apple Barbecue Block Party attracts people from near and far to sustain and celebrate America’s authentic culinary and musical traditions. Big Bob Gibson Bar-B-Q will be in NYC at the Big Apple Barbecue serving up some of their world championship pulled pork sandwiched and spicy mustard coleslaw. The Atlanta Food & Wine Festival is a weekend like no other that brings together leaders of their craft – barbecue pit masters, award-winning chefs and mixologists, master sommeliers, fry cooks and local growers – in the spirit of celebrating the deep food and beverage traditions of the South. Southern hospitality knows no limits when the AF&WF Advisory Council, which includes Big Bob Gibson’s own Chris Lilly decide to throw a party. Lilly will host a dinner event loaded with great chefs and more Southern Hospitality! The MIM World Championship Barbecue Cooking Contest is held each year at Tom Lee Park on the river in downtown Memphis. Hundreds of the best barbecue teams in the World compete for over $110,000 in prizes and supreme bragging rights. Teams adorn their areas with elaborate decoration, trophies attesting to their boasting rights. Big Bob Gibson Bar-B-Q has won a record 5 World Grand Championships and an unprecedented 10 wins in the pork shoulder category. Take advantage of the exploding industry of barbecue and grilling. Then join hundreds of restaurateurs, caterers, competitors, and suppliers at the National Conference. There is no better way to connect! Four days of educational workshops, networking, industry expert panels, inspiration and fun that are not to be missed. The South Beach Wine and Food Festival’s signature celebration of all things grilled, braised, and barbecued, has evolved over the years. It started out as champagne and barbecue on the beach with the Bubble Q, transformed into all things “Q”, and took a turn as Meatopia on the beach. The only constant is Big Bob Gibson Bar-B-Q, who first appearance on South Beach in 2002. Regardless of the name, the BBQ event at SOBEWFF is one of the toughest tickets, where some of the greatest chefs showcase their abilities over open fires and on barbecue pits.